I love these simple little cakes. I know they look quite plain, but trust me, they are absolutely delicious. The best thing about them is that they are so easy to make. 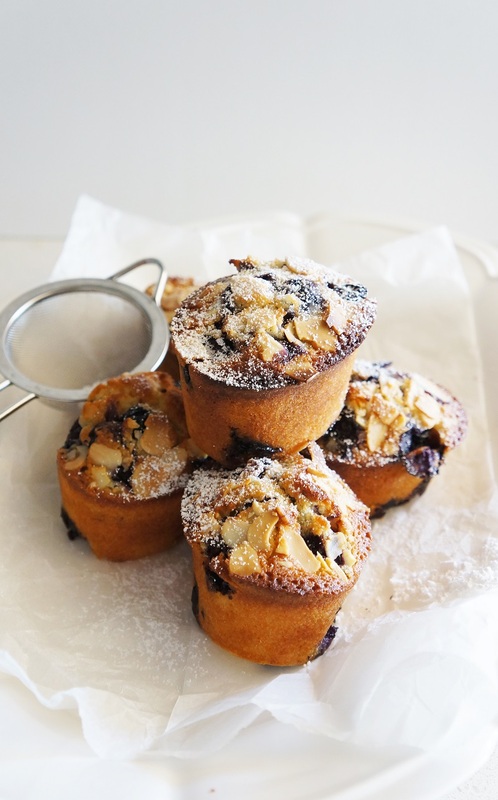 In Australia, friands are typically baked in small oval cake tins. 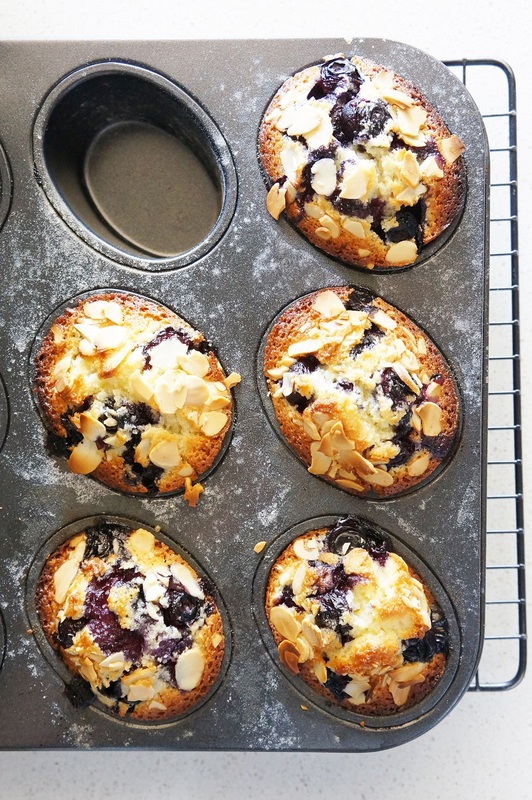 You can of course bake these in standard muffin pan. 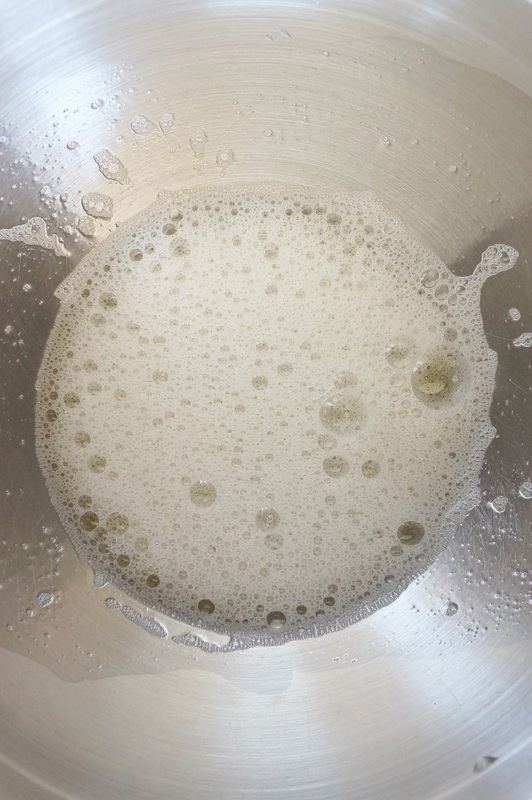 Now on the topic of brown butter (beurre noisette) vs melted butter. The brown butter apparently gives a nutty note to the cake. I found that it didn’t make a whole heap of difference worthwhile the effort of browning the butter. Well, that’s my opinion anyway. So melted butter for my friands it is. Of all the different favours I have experimented with, my favourite is still the classic blueberry and lemon. 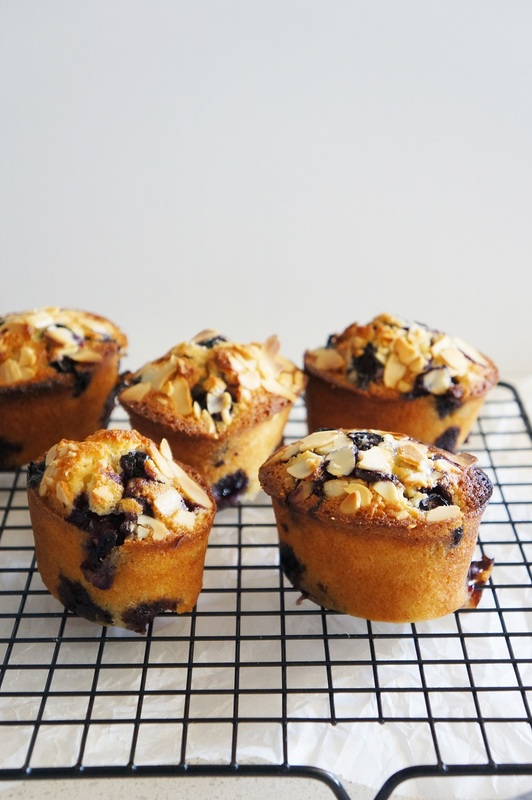 When baked, the blueberries will burst and become jammy and delicious. These little cakes are best served still warm from the oven, with the crust crisp and the centre moist and light. Having said that, they are just as wonderful after a day or two. Additional butter and flour for prepping the cake pan. See method below. Preheat oven to 200 degrees celcius conventional (or 180 degrees celcius fan-forced). Combine icing sugar, plain flour, almond meal and lemon zest in a large bowl. Set aside. Tip egg whites and cooled melted butter into the dry ingredients. Using a spatula, lightly fold the mixture together until just combined. Divide the batter into the holes of the prepared pan up to 3/4 full. Drop about 6 blueberries in each hole. 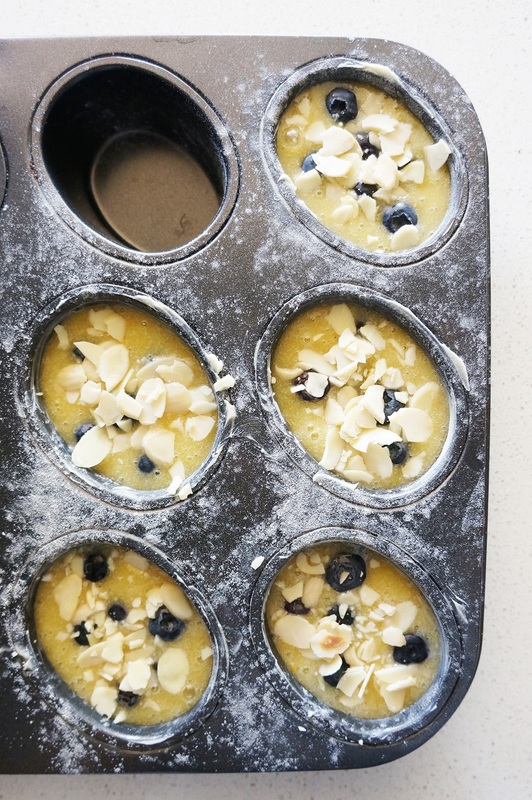 Lightly crush almond flakes with your fingers and scatter over the cake batter. Bake for about 25 minutes, or until golden and a skewer inserted into centre of cake comes out clean. Serve warm with a light dusting of icing sugar. These sound SO good! I haven't seen anything like these before! Could these be baked frozen? If yes, for how long would you recommend? Hi. I never freeze the batter then try to bake them after. Not sure if it will work. Although the good news is that you can refrigerate the batter for a few days and then bake them when you are ready. Just bake the cold batter for a few mins longer. Hope that helps.